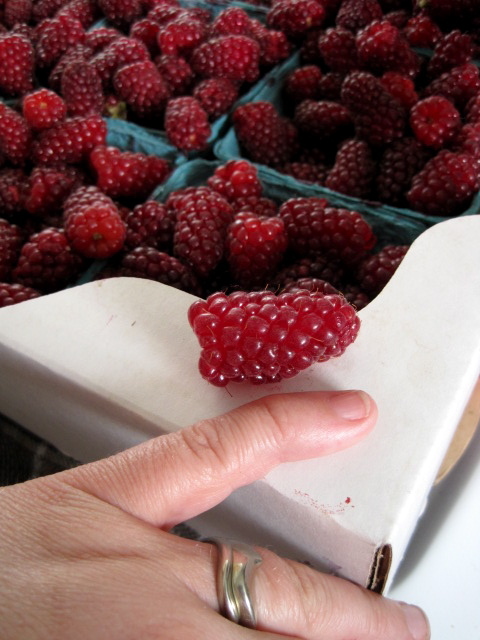 What a happy life it would be only to cultivate raspberries. Hi, I’m Jennifer Burns Bright, food and travel writer, formerly of Eugene and now writing about sustainable seafood and the glorious south Oregon Coast from Port Orford, OR. Welcome to my food blog, which I maintained from 2008-2015, reporting on gastronomical adventures in Oregon and beyond from my base in the Willamette Valley. Our valley, with Eugene at its south end and Portland in the north, was the promised land at the end of the Oregon Trail, and it’s still one of the richest growing regions in the country. We’re at the forefront of big changes in farming, cooking, and preserving in the U.S. I believe in Oregon and I believe in growing your own food and learning how to cook and make food last through the seasons. I am no fan of elimination diets, even those that involve eating local, however. These types of food philosophies (unless medically necessary, of course) are akin to an eating disorder to me; plus, it’s ignoring the globally interdependent world in which we live. I think food can and should encourage community and hospitality and conviviality, that food should bring people together, not drive them apart over a ham sandwich with a heaping side of self-righteousness. I seek my tribe: omnivores, preservationists, milkmaids, eggmen, butchers, cooks, fisherpeople, grillers, wine-collectors, meat-salters, fermenters, pie-makers, gardeners, farmers, composters, caramelizers, and whippers of concupiscent curds. I teach food studies and pickling, sometimes at the same time, and I write articles on local and seasonal food for numerous print publications. I’m always up to something: reviewing cookbooks or works of literature involving food, interviewing authors, farmers, and other interesting food folks, or just figuring out how to cook something new. Some of my happiest moments were my roles in local productions: as a radio co-host on food news and interview show on our NPR affiliate, as a judge and MC at our Iron Chef competition, and as the head of an academic food research working group, which hosted nationally prominent speakers and encouraged faculty communion over our food studies research projects. A feature on colonial pickling in Amsterdam for NPR’s The Salt. Feel free to contact me at wellsuited at gmail dot com if you’d like to republish something I’ve created or to discuss freelance work. I’d be happy to hear from you! © Jennifer Burns Bright, 2008-2105. Good job! Love your new blog. Your passion for the subject shines through your words. Yay! Finally another food blogger in Eugene! After Jocelyn left me (Brownie Points), I was feeling quite alone, so I’m so glad you’re here! And another graduate student, no less. Do you work at the school (we do!)? I’m guessing you live in South Eugene based on some of the comments you’ve made (we do too!)? Eugenia, so many posts about local food in such a short time. Cheers to that and keep up the great posts! I came across your site while searching for the Germany culinaria. I collect the Dutch version of the series. 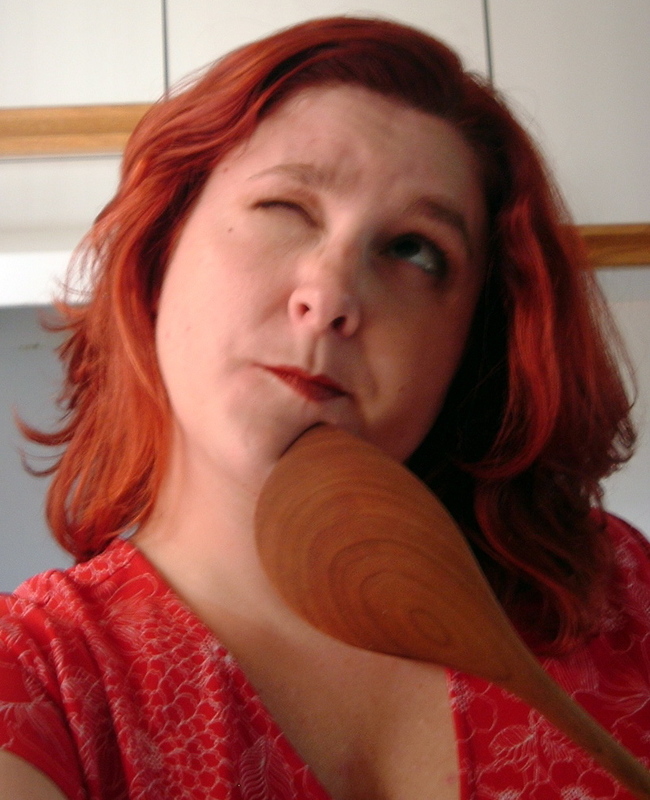 Should you have any questions about Dutch recipes, just let me know! Thanks to everyone who has commented with such nice things to say. Hannah, thanks for the offer! My post on the Culinaria cookbooks series (https://culinariaeugenius.wordpress.com/2008/02/04/culinaria-cookbooks/ )is by far my most popular post on the search tracker that comes with WordPress blogs. There’s not enough press for these terrific books, in my opinion! I hope you’re enjoying them as much as I am. I wonder when they’ll be coming out with a Culinaria Netherlands cookbook? I just learned something new today! I had no idea there was such a thing as a certified Master Food Preserver. I’ve been looking at becoming a Master Gardener, but I had no idea! I love your blog and will be back soon. I am interested in the Master Food Preserver you mention. Is that a local thing or a national program? I love food! The Master Food Preserver program is part of the Extension Service offered by public universities across the nation. About a hundred years ago, there was a bill in Congress that established federal matching funds for mainly rural colleges with agricultural programs to extend their services throughout each state. They did this by establishing “Extension Service Offices” in every county that they could. Some of the services these Extension offices provide in your county may include 4-H programs, commercial crop and home gardening advice from certified volunteers, homemaking education and nutrition education for schoolkids and seniors. And, of course, the Master Food Preserver program. It all depends on your area, though. Many counties have eliminated Extension altogether, since it relies on federal, state and county-level funding, so if the county is broke, the programming can’t continue. That’s what’s happening in my county, Lane County. We’re in the midst of a big fundraising campaign to keep Extension alive and well in Lane County. We’ve raised $30,000 in the past few months to keep our doors open until June. If you’re in Lane County, you might consider taking the Master Food Preserver certification training in 2009, which starts in April (check out the link to the right for more information). You receive 40-plus hours of training, take a certification test, then volunteer 40-plus hours to complete the program. I’d strongly recommend taking it this year, just because funding issues are likely to continue and the training may not be offered in the future. If you’re in another county or state, you may or may not have a MFP program. Other counties and states do training differently — check with your local Extension office to see if you have a MFP program and how to volunteer. And good luck! The MFP program has been such a wonderful, life-changing experience for me. Don’t hesitate to become involved. Wanted to let you know I moved my blog to http://ourhomeworks.com/. Thanks for the link to the Eugene Friendly Neighborhood Farmer’s group! Thanks for your nice words about my blog. I was impressed by Culinaria Eugenius, and pleased to discover another blogger is interested in both Korean and Hungarian cuisine. Keep up the good work! Actually not sure how I found you except that you and I live in Eugene and are both Master Food Preservers. I haven’t been involved in MFP for about 5 or 6 years and am really missing it. Hoping to come back and help out this year. My daughter-in-law and I will be at the bread-making classes next Fri/Sat and then again for the last one. Thanks for all you are doing to get people more involved in eating locally. And I love those beans! I’m new to your blog (and love it), so please correct me if I’m wrong, but I don’t see any postings about eating in at Long’s Meat Market. If you haven’t yet tried eating there, you must! They have the most delish BBQ brisket sandwiches on delicate ciabatta rolls, potato salad, mac and cheese, and baked beans that are to die for. They also do a “braise of the day.” When I was last there, it was braised oxtail, which was amazingly tasty. They have all kinds of meaty treats (and beverages)…and you can get them to go or eat them at the butcher shop–which is a cultural experience in itself! Bruce, Sharon and Raychel, thanks! Raychel: thanks for spreading the news about Long’s take-out items. Long’s is linked to my blog as one of the only stores in Eugene you can buy local meat. I didn’t know they did a braise-of-the-day, though. I’ll check it out! As a fellow Californian (Pleasanton in the East Bay) transplanted to Eugene (for school at the U of O) and also an aspiring foodie, I stumbled across your blog and really enjoy it! Keep up the great work!!! My husband and I helped to start Eugene Local Foods (www.eugenelocalfoods.com). Check it out and let us know what you think! awesome blog! thanks for doing it! hi eugenia, i like your blog. you tell it like it is and show it’s ok to have high standards for our local food and restaurants. we just want good quality food, good service, and a fair price. that said, if you haven’t check us out yet, i encourage you to. i own Field to Table, we’re a full service catering company and also have a booth at the farmer’s market on tuesdays and saturdays. we prepare food on-site and keep it local, seasonal, and organic (as much as possible). i invite you to come down for breakfast, lunch, or brunch and check out what we’re doing. you’ll dig our weekly changing chalkboard menu too. cheers! Thanks for sharing! I am trying to contact you offline…would like to connect. Please advise. Carrie: great service — what a wonderful idea. Thanks for stopping by! Corey: I’ve seen your delicious menus at the Saturday market. I’ll stop by and say hello next time I’m there. Jaculynn: There’s contact info in the last paragraph of my post if you’d like to send me an email. Cheers! Hi everyone: I’m not sure I’d like the “About This Blog” to be a free space for advertising. This isn’t a community bulletin board. I don’t mind a mention of a local business or product, especially if it is from a customer, but I’m not a big fan of drive-by marketing. If you’d like to introduce me to a product or service, please feel free to send me an email. The address is listed in the last paragraph of this post. Hi Eugenia! I love your blog! It’s a wonderful inspiration for my own blog-in-the-making (about spatial design, experience, & performance, including windsurfers as well as buildings). I’m also looking forward to your November class! And, I think it’s so cool that you have another name too. I’m in the process of changing mine, as you can see. Thanks for all the great writing & best of luck! I love how everyone POSTS ALL THERE GOOD STUFF–>—-what a great way to stay informed about all the good food out there! Hi Eugenia! I just came across your blog (it was a recommended feed in my Google Reader). Looks like we have a lot in common! I’m also a food blogger living in Eugene, came from LA and was raised in the midwest. I’m glad I found another local foodie, and I’m looking forward to reading along. Congratulations on the ‘Best of Eugene’ mention! Very cool. It’s how I found your blog. Anyway, I’m a total foodie who has been transplanted to Eugene from from Portland. I have been madly searching for good nibbling spots in the area ever since my arrival, so I’m very excited to be reading your words. Please keep up the stellar work. If you are ever need a partner in mischief for a food adventure, please let me know. Dinner is on me. Hi Corey, no problem. The email address is in the last paragraph of the post (I don’t list it in a readable-to-spambot format for obvious reasons). I really enjoy your blog and the great pictures!! You seem to have a great eye for food, and I’m glad to read about a fellow foodie at the UO. I stumbled on your Blogg when doing research on Étienne Brûlé. I come from a very small Historical group in Carroll Township and was looking for information on Étienne Brûlé’s discovery of our own Toussaint River. Any thing that you share with me would be wonderful for us to have in our Old Town Hall which serves as a mini museum. Hi Carmen, and welcome to Eugene! You’ll find plenty of deep fryers here, but the situation is getting better. So happy to have found your blog. I will be relocating to Eugene within the month and will, for sure, be a frequent bloggee. Just wanted to say Thank You! Thank you for enjoying My husband and my pickles, Kurzhal Family Kicken’ Pickles! We are working on getting a licensed kitchen built this year and plan to keep producing and making our own pickles, this years’ garden is much bigger than last year..and hopefully we’ll keep it up for the years to come! Pickling is a great fun, and hope to pass the tradition to our kiddos. We are great friends with the Kurzhal family and are HUGE fans of their pickles.. They are by far the best around! And especially the bread and butter! They also make fantastic spicy pickled asparagus! We suggest that you make it a must to try all varieties they make,I promise you wont be left with anything less than satisfied and a carving for more. Hi, I have an off the wall question for you. Last year my husband and I canned up some Oregon albacore tuna, and oh yum. I was wondering if you know of any really great fish-mongers up in the Portland area that have tuna for a good deal. I live a state away, so I have to plan ahead and have things ready for my hubby to go pick up, and pretty much no time to poke around and shop around. Hi Lanna, I’m sorry, but I don’t know fish shopping in PDX. We’re about two hours south and I don’t shop for fish up there! Why don’t you post the question on my facebook page — I’m sure someone can help. Kurzhal Pickles ARE the best. Spicy, sweet (depending on what you eat). Can’t get enough of them. SOOO good. Can’t wait for them to be in our local deli’s and restaurants. I just recently found your blog through the Eugene Weekly “Best Of Eugene”. Very excited to read your blog regularly. Very informative, and wonderfully written. Thanks! Thanks, and hope you share some stories with us soon! Found your blog through a google search for fermented green tomato relish. Will be following because I like your ‘curmudgeonly’ attitude and common sense approach to food. Really enjoyed having you in the MFP class into day. Thank you for the 2 week Kimchi! Excited to get mine going!